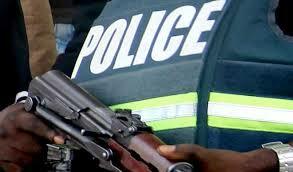 Closing Civic Spaces In Nigeria | Police Illegally Arrests and Detains Foreman. Police Illegally Arrests and Detains Foreman. Mr Ayodeji Adesanya, a forman with an engineering firm, was reportedly arrested alongside his brother and his brother’s friend, for no given reason. They were told to pay the sum of N10,000 each for bail. Legal Foundations Section 34 of the 1999 Constitution.